C’est mignon ça! belle compo et teinte! Fantastic,Hope on future I can continue to see your photos..
.Thanks My Friends for each praise, comment and support.. Pretty neat – I love pigs! A great picture! What is this, exactly? These are stress reliever thingy, squash-able piglets. I am in an Hackfest – security conference in Quebec city ( I am an IT security consultant). 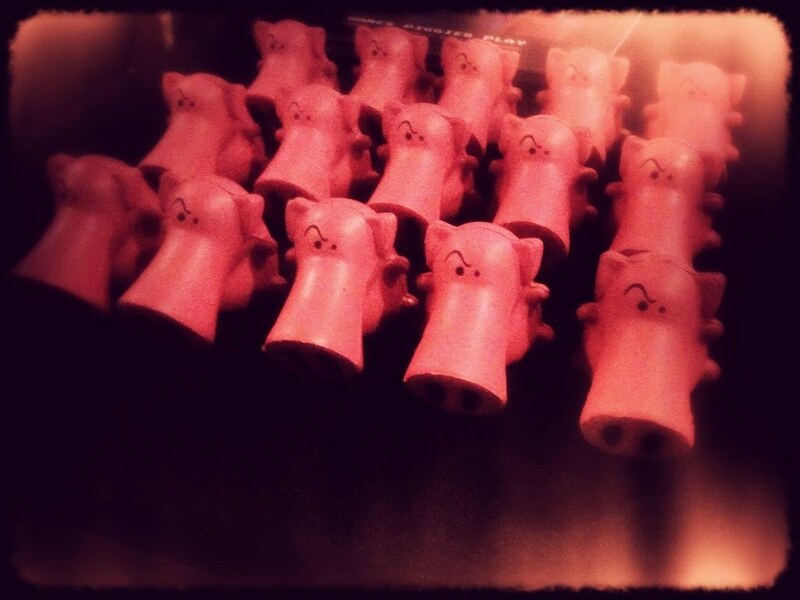 The pig represent an Open source product called Snort, which is a network packet sniffer. Sorry if am a bit too technical. Cool processing. Creepy photo. Reminds me of George Orwell’s Animal Farm. [http://www.flickr.com/photos/12149783@N04] oh I see, thank you for the explanation…and I relate well to technical! 🙂 some days I could probably do well with a stress relieving squash-able piglet or two…neat idea!